Strong Beginnings is a federal Healthy Start program created in 2004 to improve the health and well-being of African American and Latinx women, men, and their babies, from pregnancy through early childhood. 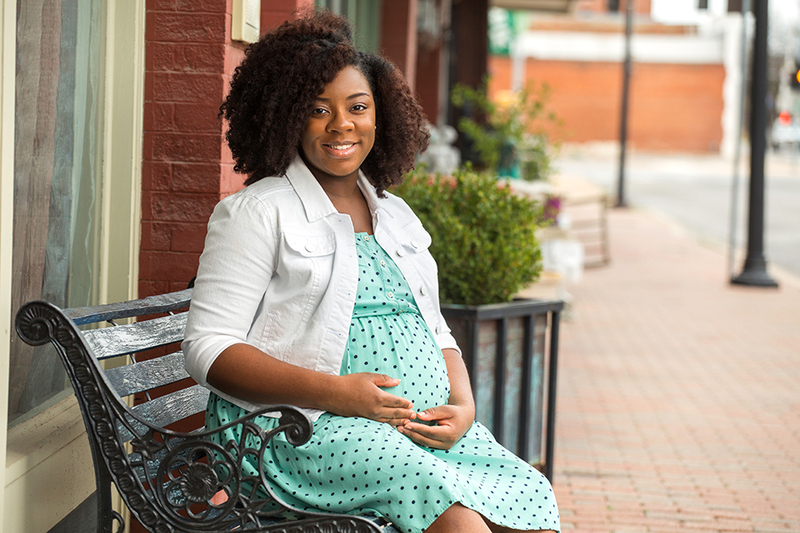 Strong Beginnings seeks to promote racial equity and eliminate disparities in birth outcomes between whites and people of color in Kent County. We want every family to have what they need to have a healthy pregnancy and make sure their children thrive. All services are offered free of charge and are available in English and Spanish. Spectrum Health serves as the fiduciary for Strong Beginnings. Strong Beginnings employs community health workers (CHW) to meet with parents in their homes or other convenient locations to offer social support, education and encouragement throughout their pregnancies and the first 18 months of their babies’ lives. The CHWs work with nurses and social workers and connect families to needed resources. Program participants also have access to behavioral health services through individual counseling and weekly support groups. Breastfeeding support groups and numerous parenting and education programs are offered to the community at large. Our Strong Fathers fatherhood initiative offers individual support for male partners, weekly discussion groups for men, and father-child activities. The Padres Fuertes initiative offers services to Spanish-speaking men. Finally, Strong Beginnings works to promote racial equity and improve the overall system of care by addressing factors that affect maternal-child health, factors such as access to care, transportation, housing, father engagement, and racism. This website was developed by Strong Beginnings and is partially funded under the Health Resources and Services Administration, Maternal and Child Health Bureau grant #H49MC03591.